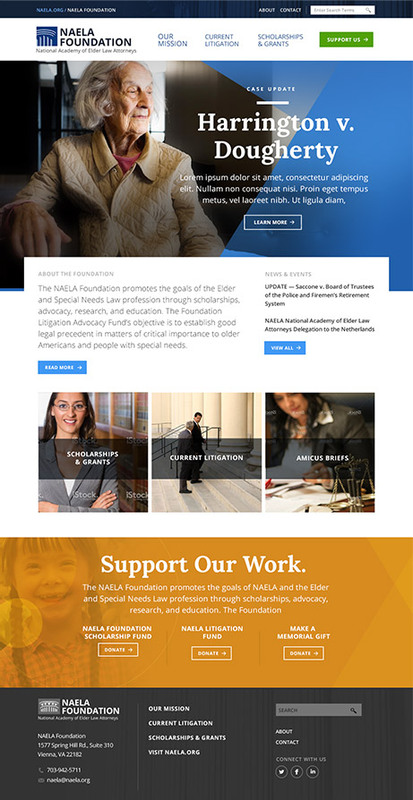 The National Academy of Elder Law Attorneys (NAELA) partnered with John consulting to develop a brand and voice for their Foundation. The NAELA Foundation works to protect the rights of older adults and those with special needs. In 2016, the Foundation undertook a redesign to better communicate their mission and priorities to potential donors, their clientele and the legal profession at large. 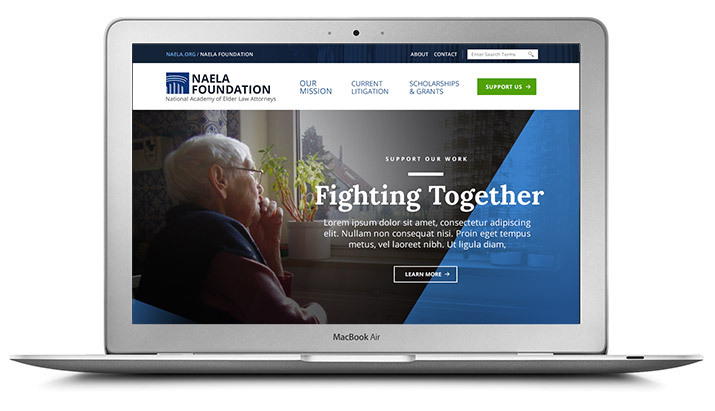 John Consulting worked with the NAELA Foundation to develop a bright and hopeful branding system intended to set the Foundation apart and establish them as a current and effective advocate for Elder Law and Special Needs Planning issues. Our priority in the design process was to elevate current case work and to tell the stories of the people NAELA is fighting for. Our challenge was to make the message of the Foundation stronger and the pathways to support the foundation more clear. 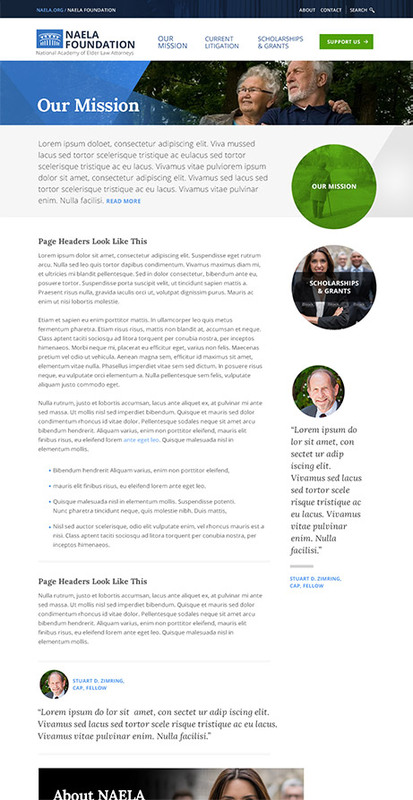 Our design solutions included a versatile and extensible template design, which integrates designed components that can be mixed and matched on pages. Additionally, John Consulting provided style guidance on photo selection, iconography and other aesthetic considerations to ensure our NAELA partners would be able to maintain the "look and feel" in the months and years ahead. With final client approval, the fully designed screens were supplemented with a guide page for each design outlining fonts, colors, sizes and dimensions for the RiSE developers. Designed components are broken up into high-quality images to be used in the new site. Finally a style-guide listing standard HTML design components in detail. An out of the box copy of the RiSE Cities Responsive template was implemented and a minor enhancement was added to display dynamic navigation location banner on interior pages was implemented. Standard RiSE header and footer components were implemented in a separate override CSS file to ensure a smooth upgrade. Next our proprietary HTML/CSS classes were added and new designed Content HTML components were implemented to match the designs. The next step in the process was blending the standard RiSE styles with the new template design. The last step of the design implementation was matching phone and tablet screens to the new design. We implemented the standard ASI Fundraising module for the web and configured the main page to accept URL parameters dynamically. Then we added our gift jump-list iPart that is free to our clients for a convenient way for users to switch between current NAELA Foundation initiatives. John Consulting was also engaged to implement content copywriting for the website based on interviews and outlines provided by the client. After approval our copywriter assisted in implementing the design HTML components. One of our core services is creating and implementing cost effective, well designed RiSE websites. These additional sites are typically for major conferences, foundations, chapters, specialty groups or affiliates. 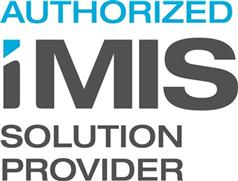 Our “secondary” site implementation process is streamlined to be significantly less than a basic full site implementation. 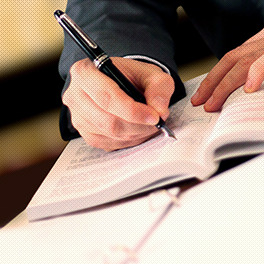 For a free consultation on how you can benefit from these services please CONTACT US. The Federation of Regulatory Counsel (FORC) is an organization consisting of the top talent in insurance and regulatory law. Working with John Consulting FORC was able to rebuild their brand from the ground up, and establish a publishing system, which would enable them to communicate their expertise more effectively.